Clive and Sandra are undoubtedly among the top half dozen most popular acts on the British Country Music scene. Over the past ten years they have received over 70 awards and have been voted British Country Music's "Most Popular British Duo" three times since 1994. They come from the small village of Crossgates, near Llandrindod Well in the heart of mid-Wales and have been involved in country music for nearly 35 years. After the early years, when they entertained in various guises - family groups,local concert etc. In 1979 they formed Country Company as a trio and spent the next ten years working all over the country as a semi- professional act. Their workload became such that Sandra and Clive decided to take the plunge and become fully-professional in 1989. Since taking this big step, Country Company's popularity has gone from strength to strength,. they have a great following all over the country and a fan club which boasts in excess of 500 members. It is plain to see that they both really enjoy their work on and of stage whatever the occasion. They are equally at home be it dance, concert or theatre. Their choice of material and down to earth manner makes them a joy to watch and listen to and the banter between them is second to none. 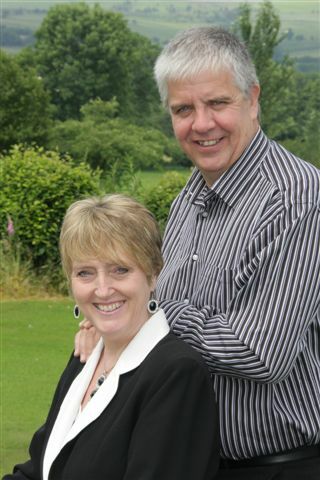 Clive and Sandra have a great love for the business but never loose their professional attitude in entertaining their audience. This makes for an excellent evening's entertainment. Our last performance will be at our Daffodil Breaks Weekend in Didsbury Manchester on the 1st - 3rd February 2013. We know this seems along way off, but we wanted to let all our fans & friends know now, because 2012 will be our last full year of touring and this will give people the opportunity to plan and maybe come and see us one more time, before we retire completely. We both feel that if we don't make this decision now we never will, also the travelling is getting harder all the time, and Sandra does struggle with her health and the long hours that the job creates. By the time 2013 comes around we will have both been in the business for over 40 years, we have had a fantastic career and would not have missed one minute of it, meeting great people and making lots of good friends along the way, it has been an unforgettable journey. We would like to take this opportunity to thank you all for the love and support that you have shown us over the years, we will never forget all the great times we have shared together. Take Care, Lots of Love. Even though we are retiring from the Country music Scene in February we have decided to carry on recording albums for the foreseeable future. We feel this would give us an opportunity to carry on singing and recording the songs we love and keep in touch with the many fans we have made over the years. If you would like to receive a periodical newsletter please download the form below and send in your details and we will contact you when there is anything new happening. Thanks you for your support over the last 30 yeasrs. 45 Meadow Rise : Crossgates : Llandrindod Wells : Powys LD1 6TA.